This is an expedition event within the Deathknell raid expedition. Its lockout timer is 4.5 days. The zone is easy to get to; look in Alt abilities windows under Special tab, harmonic dissonance will port you to Theatre of Blood. This is basically a two stage event in a room shaped like a plus sign; at each end of the wings is a Deathknell Watcher and a Deathknell Enforcer. In the Middle a bell hangs over a pit. The Deathknell Watchers come alive, moving towards the bell in fixed intervals of time, one step at a time, regenerating to full and mem-blurring each step. 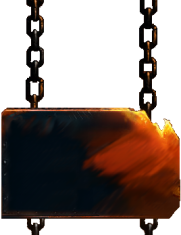 Once they reach the bell, they toll it and cause devastating AE damage. The easiest way to deal with Watchers is to kill them. All four Deathknell Enforcers come alive at the same time and have to be killed. The Deathknell enforcers cast a AE death touch DOT (5x per cast) that must be cured with RGC. It is easy to figure out who has the DOT, the affected player turns into a gargoyle.